You do not have to have an old home in order to suffer from musty odors from time to time. 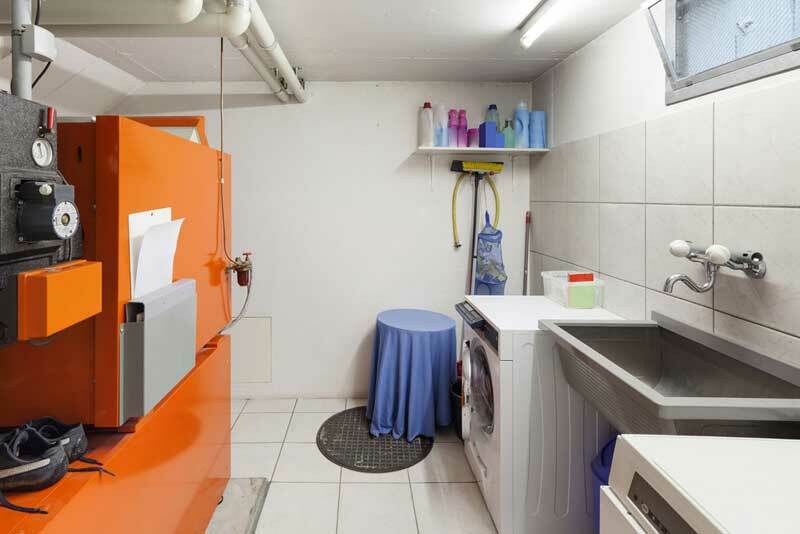 One of the most common places that smell develops tends to be in the basement. The problem is that once that odor develops, it tends to get worse. It can seep into furniture, clothing, and carpeting, making it an area that no one wants to spend time in. So, what do you do if your basement has developed this musty odor? How can you not only keep it at bay, but get rid of it completely? Well there are a number of tips you can use, and depending on the severity of the problem you may find you need to use a combination of these methods in order to have true success. Looking for a Simple, Reusable Option? One way you can go about removing that musty smell in your basement is to try a product like the Smelleze™ Reusable Basement Smell Deodorizer Pouch, which can be found on NoOdor.com. This is simply a pouch that you can hang in the basement that works by absorbing unsavory smells. You will not be masking it with perfume and fragrance, which can actually end up being worse than the musty smell. Instead, you are dealing with the problem and getting rid of it for good. This product is able to absorb moisture, which means you do not have to worry about mildew and mold. It lasts for years and can be moved from room to room. Once you get rid of the smell, this product then works as a preventative measure, which means you should not have to deal with that odor again. As a tip, you may want to invest in a product like this even if your basement does not currently smell. 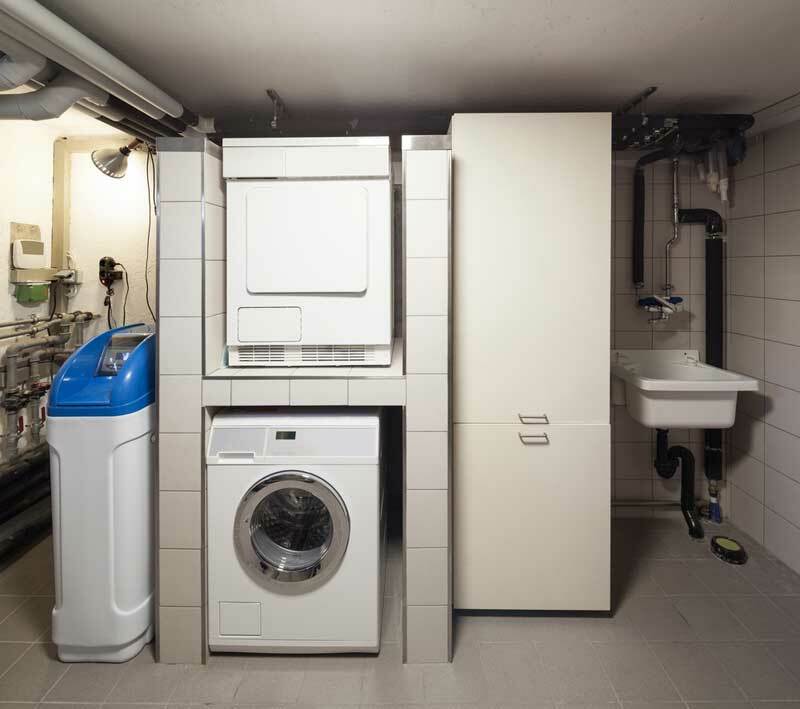 Basements are notorious for dampness and moisture, so there is a good chance that it will eventually develop some sort of odor. By hanging this pouch in the basement from the start, there is a good chance that you will be able to keep that odor from developing. Another tip is to find the source of the smell. Your whole basement may smell like mold and mildew, but it will have originated in a central location. Until the source is found and remedied, that smell will continue to bother you and your family. Common culprits include tub caulking, grout lines, cardboard boxes, old newspapers, and other areas that are prone to moisture. A great tool to make use of when combating musty odors is bleach. Bleach is able to kill the mildew and bacteria, which will then eliminate the source of the smell. You can either spot treat specific areas or scrub floors and walls, as long as you combat the smell. If you plan on scrubbing surfaces, walls, and floors you will want to mix four parts water to one part bleach. After scrubbing, make sure you rinse off any remaining bleach. Smelleze™ powder is one of those magical items that has been a great cure for decades. One thing that Smelleze™ powder does well is to attract and absorb odor from surfaces. You can sprinkle it on surfaces, then allow it to sit and absorb smells. It can then be vacuumed up along with any odor it managed to absorb. You may also want to place a few Smelleze™ pouches throughout your basement so that they can work to absorb those airborne smells over time as well providing a 1-2 punch. Because mold and mildew happen when there is a moisture problem, it is important to control the amount of moisture in your basement. Investing in a good-quality dehumidifier can solve all your problems. The dehumidifier will work to pull moisture out of the air, making for a much more comfortable basement. Depending on how severe your moisture problem is, you will need to empty out the dehumidifier every couple of days. The last tip is to allow for airflow when possible. If your basement has windows, open them up from time to time and let the fresh air in. Of course, you only want to do this on dry days, as you do not want to allow additional moisture into the basement. Also, open the door to your basement instead of leaving it closed all the time as this will also allow for airflow. While it is not pleasant to deal with a smelly basement, the good news is that there are a variety of tips and techniques you can use to not only combat the smell, but remedy the problem so that the smell does not come back. Roland Parker from Westral: If there is one thing in this world that Roland knows about in this world, it is home improvement. Westral have been locally manufacturing beautiful blinds and awnings in Australia since 1978 when the company was founded.